Swaziland, officially the Kingdom of Swaziland, sometimes called kaNgwane or Eswatini, is a sovereign state in Southern Africa. On this date in 1968 it became fully independent. Its neighbors are Mozambique to the east and South Africa to the north, west and south. The country and its people take their names from Mswati II, the 19th-century king under whose rule Swazi territory was expanded and unified. At no more than 200 kilometres (120 mi) north to south and 130 kilometres (81 mi) east to west, Swaziland is one of the smallest countries in Africa. Despite its size, however, its climate and topography are diverse, ranging from a cool and mountainous highveld to a hot and dry lowveld. The population is primarily ethnic Swazi whose language is siSwati. The kingdom was established in the mid-18th century under the leadership of Ngwane III and the present boundaries were drawn up in 1881. After the Anglo-Boer War, Swaziland was a British protectorate from 1903 until 1967. The country is an absolute monarchy, currently ruled by Ngwenyama Mswati III. He is head of state and appoints the country’s prime ministers and a number of representatives of both chambers (Senate and House of Assembly) in the country’s parliament. Elections are held every five years to determine the House of Assembly majority. The current constitution was adopted in 2005. The Swazi settlers, then known as the Ngwane (or bakaNgwane), before entering Swaziland had been settled on the banks of the Pongola River. Prior to that they were settled in the area of the Tembe River near present day Maputo. Continuing conflict with the Ndwandwe people pushed them further north, with Ngwane III establishing his capital at Shiselweni at the foot of the Mhlosheni hills. Under Sobhuza I, the Ngwane people eventually established their capital at Zombodze in the heartland of present-day Swaziland. In this process, they conquered and incorporated the long established clans of the country known to the Swazi as Emakhandzambili. 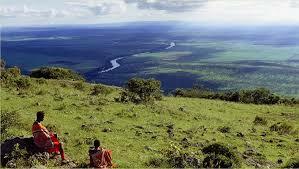 Swaziland derives its name from a later king named Mswati II. KaNgwane, named for Ngwane III, is an alternate name for Swaziland the surname of whose royal house remains Nkhosi Dlamini. Nkhosi literally means “king”. Mswati II was the greatest of the fighting kings of Swaziland, and he greatly extended the area of the country to twice its current size. The Emakhandzambili clans were initially incorporated into the kingdom with wide autonomy, often including grants of special ritual and political status. The extent of their autonomy however was drastically curtailed by Mswati, who attacked and conquered some of them in the 1850s. 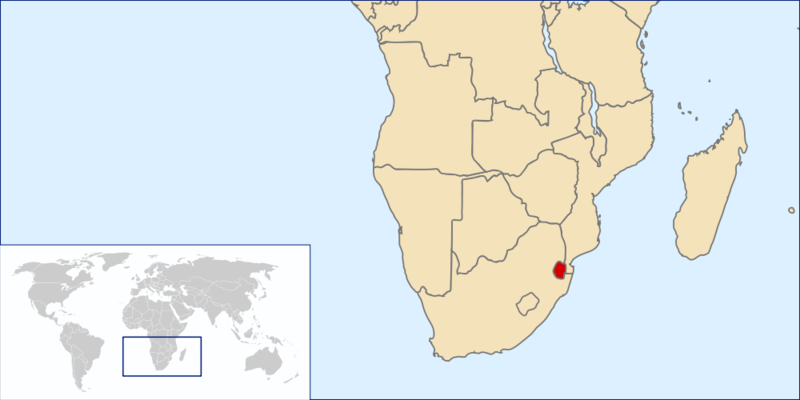 The autonomy of the Swaziland nation was influenced by British and Dutch rule of southern Africa in the 19th and early 20th centuries. In 1881 the British government signed a convention recognizing Swazi independence despite the “Scramble for Africa” that was taking place at the time. This independence was also recognized in the convention of 1884. Because of controversial land/mineral rights and other concessions, Swaziland had a triumviral administration in 1890 following the death of King Mbandzeni in 1889. This government represented the British, the Dutch republics and the Swazi people. In 1894 a convention placed Swaziland under the South African Republic as a protectorate. This continued under the rule of Ngwane V until the outbreak of the Second Boer War in October 1899. King Ngwane V died in December 1899 during incwala after the outbreak of the Boer war. His successor Sobhuza was four months old. Swaziland was indirectly involved in the war with various skirmishes between the British and the Boers occurring in the country until 1902. In 1903, after British victory in the Anglo-Boer war, Swaziland became a British protectorate. Much of its early administration (for example, postal services) being carried out from South Africa until 1906 when the Transvaal colony was granted self-government. Following this, Swaziland was partitioned into European and non-European areas with the former being two-thirds of the total land. Sobhuza’s official coronation took place in December 1921 after the regency of Labotsibeni, who then led an unsuccessful deputation to the Privy council in London in 1922 regarding the issue of land rights. In the period between 1923 and 1963, Sobhuza established the Swazi Commercial Amadoda which was to grant licenses to small businesses on the Swazi reserves and also established the Swazi National School to counter the dominance of the missions in education. His stature grew with time and the Swazi royal leadership was successful in resisting the weakening power of the British administration and the incorporation of Swaziland into the Union of South Africa. Following the elections of 1973, the constitution of Swaziland was suspended by King Sobhuza II who thereafter ruled the country by decree until his death in 1982. At this point Sobhuza II had ruled Swaziland for 61 years. A regency followed his death, with Queen Regent Dzeliwe Shongwe being head of state until 1984 when she was removed by Liqoqo and replaced by Queen Mother Ntfombi Tfwala. 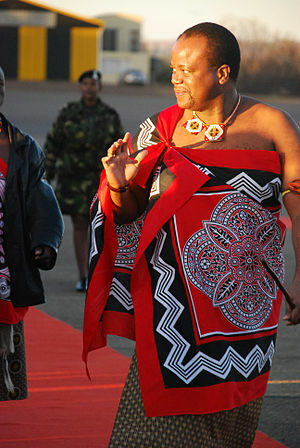 Mswati III, the son of Ntfombi, was crowned king on 25 April 1986 as King and Ingwenyama of Swaziland. Not exactly a model country. But I do want to stick to my new principle of not necessarily condemning a whole country because of the actions of its leaders. Rather it is important to highlight abuses to bring attention to them. Swaziland has a long history of absolute monarchy and attendant tyranny. We can hope that things are changing. Swaziland cuisine is based largely on porridges made from maize, sorghum, or pumpkin depending on the season, and meat, especially goat. 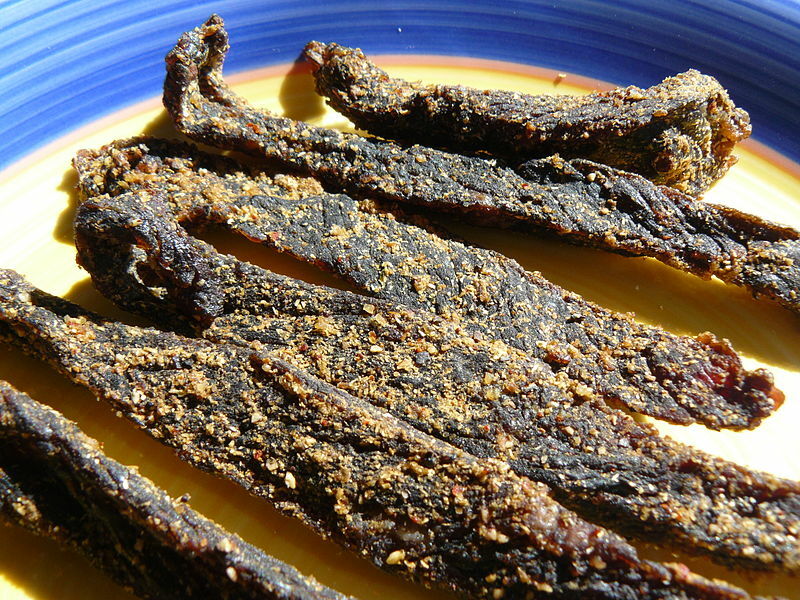 As is common throughout southern Africa, dried meat, known as Biltong, is very popular. 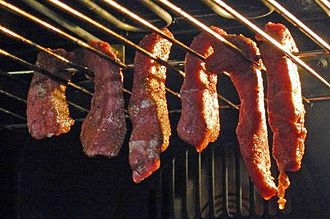 Indigenous peoples of southern Africa, such as the Khoikhoi, preserved meat by slicing it into strips, curing it with salt, and hanging it up to dry. After European settlers (Dutch, German, French) arrived in southern Africa in the early 17th century, they improved the curing process by using vinegar, saltpeter, and spices including pepper, coriander and cloves. The need for preservation in the new colony was pressing. Building up herds of livestock took a long time but with indigenous game in abundance, traditional methods were available to preserve large amounts of meat such as found in the eland in a hot climate. Iceboxes and fridges had not been invented yet. Biltong as it is today evolved from the dried meat carried by the wagon-travelling Voortrekkers, who needed stocks of durable food as they migrated from the Cape Colony north and north-eastward (away from British rule) into the interior of Southern Africa during the Great Trek. The meat was preserved and hung to be dried for a fortnight after which it would be ready for packing in cloth bags. Ideally the meat is marinated in a vinegar solution (grape vinegar is traditional but balsamic and cider also works very well) for a few hours, this being finally poured off before the meat is flavored. Here is a video of Alton Brown that can be adapted for the ingredients and method above. Using a box fan is very useful in temperate climates, and for speed.